Organizations like Partners In Health are working to support health services throughout Rwanda. Sam fled Rwanda as an 8-year-old boy, during the 1994 genocide against the Tutsi. As the sole surviving member of his family, he lived as a refugee in Tanzania until 2012, when he returned to Rwanda. Sam arrived back at his home village to find he no longer knew anyone. With a wife and three young children, he found himself and his family living on the edges of society, in substandard living conditions, with no means of social or economic support. But since 2016, Sam has lived in Umudugudu W’ Ubuzima, a village built by the medical NGO Partners In Health. The village, surrounded by fruit trees, consists of 11 simple three-bedroom houses for families like Sam’s. Partners In Health, known in Rwanda as Inshuti Mu Buzima, believes that everyone has the right to health care, housing, food security, and education. PIH has been working in Rwanda since 2005 to help the government find and treat the most vulnerable patients. When PIH started in Rwanda, it operated a small HIV clinic. Today, the organization supports the Rwandan Ministry of Health in providing comprehensive medical care to more than 900,000 people in three districts as a learning platform for comprehensive healthcare strengthening in the country. The primary decorative feature of Sam’s living room, for example, is a large nutritional poster provided by PIH. He uses the poster as a teaching tool for others in his village. As for economic support, Sam and his wife are now working in a rice cooperative that PIH helped establish. With financial training provided by PIH, Sam and his wife now save half of their daily income. That has enabled Sam to install electricity in their living room and buy a bicycle for transportation. When I visited Sam, he was home alone and proud to say that his wife was at the local school, where their three children are now enrolled, picking up their report cards. Recognizing that health involves treating not just the physical symptoms of disease, but also its social and economic determinants, PIH has developed support programs, often known as the Program in Social and Economic Rights, to meet needs outside of health services. The importance of treating patients holistically has been emphasized at PIH-supported health facilities around the world, informing every aspect of the organization’s health delivery model. 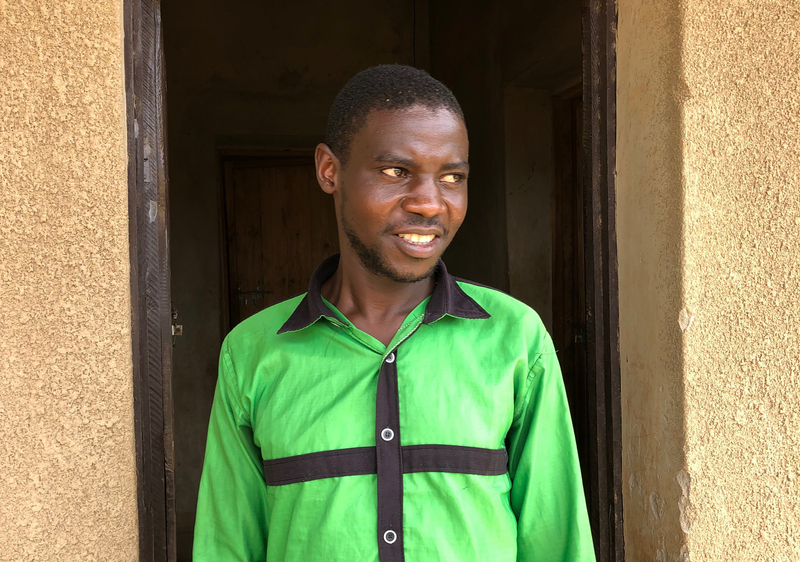 By pairing health services with the means to address social and economic inequities, PIH, in partnership with the Rwandan government, is ensuring that Sam and his family, and others like them, have the basic rights of health, education, and housing security. To date, PIH has built more than 150 homes in the Rwandan districts it supports and provides 35,000 families with monthly food packages while patients undergo treatment to ensure the best possible health outcomes. Micro-loans, and a variety of agricultural, nutritional, and financial training, help patients become self-sufficient once they are well. Direct Relief has supported PIH in Rwanda since 2016 with donations of prescription drugs and medical material valued at more than $500,000.